Keeping your balance on the first Monday of the New Year! With that said here is a quote you should remember throughout the year. “Life is like riding a bicycle. To keep your balance, you must keep moving.”- Albert Einstein. 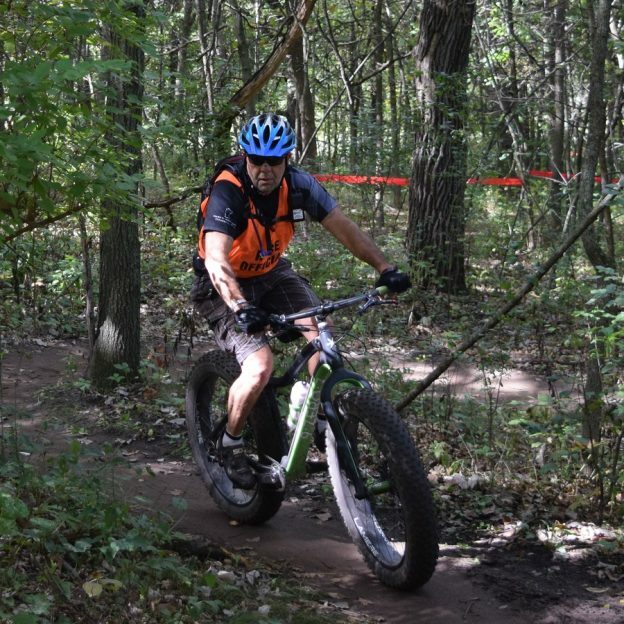 Here in this photo Minnesota High School Cycling League Director, Gary Sjoquist is out on the trail in a official capacity at a high school meet on the the Jail Trail, near St. Cloud, MN, this last Fall. See more places to explore in the new Minnesota Bike/Hike Guide and remember to register for the Root River Bluff & Valley Bicycle Tour. 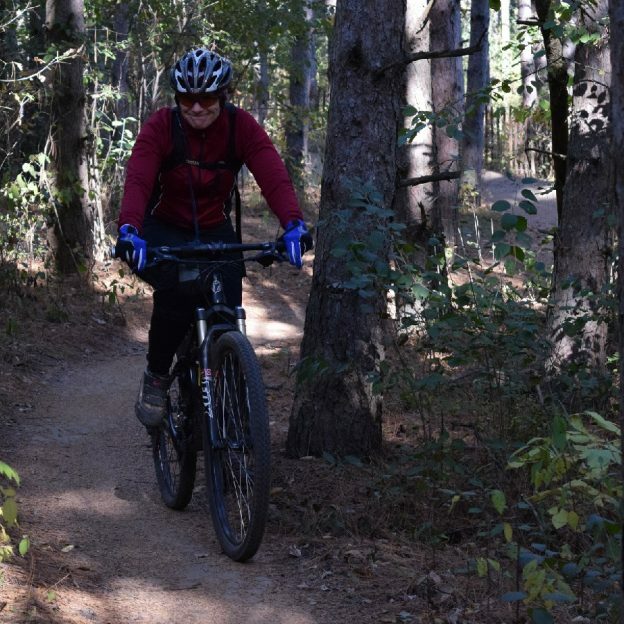 This entry was posted in News, Picture of the Day and tagged #biketrail, #fatbike, #fatbiking, #jailtrail, #mountainbike, #mountainbikemonday, #nextadventure, #nextbikeadventure, #onlyinMN, #visitstcloud, Gary Sjoquist, Minnesota, MN High School Cycling League, Quality Bicycle Products, St Cloud MN on January 2, 2017 by Stephanie Hunt.